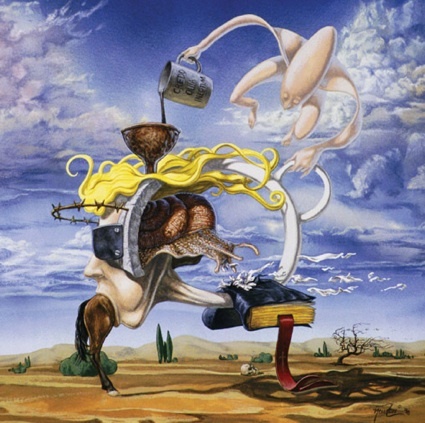 "admire skill and would like to hear his spin on the symbolism, although i can reap plenty-hail to dali and to you blithe spirit and give us more"
"I know the specifics of it is not Dali, but squint and it is. Can't deny it, it's too close for 'originality' comfort." "Stop comparing Frost Newton and Dali. Sure there might be some similarities but Dali's work is very unique, and so is Newtons. They are both great so stop ranting and appreciate the art."